On Thursday, June 30, 2011, at 9:30 a.m., Delaware-based land developers D.R. Horton Inc., will come before the State of Hawaii’s Land Use Commission for a second time to request approval of their Ho’opili Project. They are requesting Agriculturally-Zoned land be turned into Urban Use. 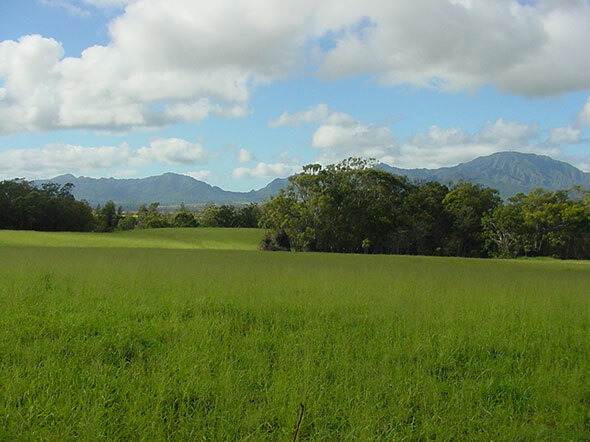 This project will develop 12,000 new houses, between Waipahu and Kapolei, on what is known as the most fertile and useful agricultural land on Oahu and considered by UH Soil Scientist Dr. Goro Uehara to be the best farmland in the world. The soil in this acreage are in the highest productivity categories (classified as A and B), which is very rare for our islands due to the geological age and volcanic composition. Why would the Land Use Commission approve Ho’opili’s zoning change request when more than 38,000 new homes in Central O’ahu and the Ewa Plain have already been zoned but not yet built? We may add another 12,000 homes to that list of new homes not built and at what cost? These are questions we must take the time to ask ourselves. Take action and say NO. All it takes is 15 minutes of your time to send in a testimony, it WILL make a difference. A recent Lloyd’s of London white paper on emerging risks stated that oil could spike in excess of $200 per barrel by 2013. We all know what our economy looked like when a barrel of oil hit $147 back in 2008. And a recent poll of global energy company executives conducted by KPMG Global Energy Institute showed that 67% of them believe that the cost per barrel of oil will hit $120 by the end of 2011. That’s more than enough to curtail consumer spending that drives our economy. Can we afford to build homes instead of farms to feed our growing community? Will local people be buying homes in that kind of economic environment? We think you’ll agree with us that the answer is no. Please say no to Ho’opili and send in your testimony to the Land Use Commission by Wednesday, June 29, 2011. Click this link to bring up an email luc@dbedt.hawaii.gov, “NO to Ho’opili” will appear in the subject line. Please scroll down If you’d like to read the letter we submitted, feel free to use it as a template. When: Thursday, June 30, 2011. 9:30 a.m.
Where: State Office Building, across from St. Andrew’s Cathedral on Beretania. We strongly oppose the Ho’opili development project for multiple reasons but the impending energy crisis looms high on our list. A recent Lloyd’s of London white paper on emerging risks, states that oil could spike in excess of $200 a barrel by 2013 (www.lloyds.com/360). That’s two and a half years away. We all recall what our economy looked like when oil hit $147 a barrel back in 2008. But this time it’s not likely that the cost will go back down. That’s a harsh reality but we should be preparing for the worst-case scenario. If Ho’opili is granted the up zoning, there’s a very high probability that this project may not get off ground. A poll of global energy company executives conducted by KPMG Global Energy Institute showed that 67% of them believe that the cost per barrel of oil will hit $120 by the end of 2011. Consumer confidence will not only shrink, it will take away their ability to make large purchases such as homes. At $120 a barrel the cost to build the infrastructure alone will rise dramatically making this project a very difficult sell. And if the cost of oil continues to go up in 2012 as some of the energy executives are suggesting, Ho’opili may just be abandoned. But by then O’ahu will have lost what will be badly needed prime agricultural lands as imported food cost starts to skyrocket. You are entrusted to make decisions in the best interest and welfare of the people of Hawaii. We trust that you will oppose D.R. Horton’s request for the zoning change. Thanks guys for putting this together! The token ag parks they have thrown into the plan are a real joke. Hopefully the LUC can see through the BS! We face a world food shortage. To pave over choice ag land is an obscene idea. Housing should go on waste land like old landfills. Please, please dis-allow the the request for a change.